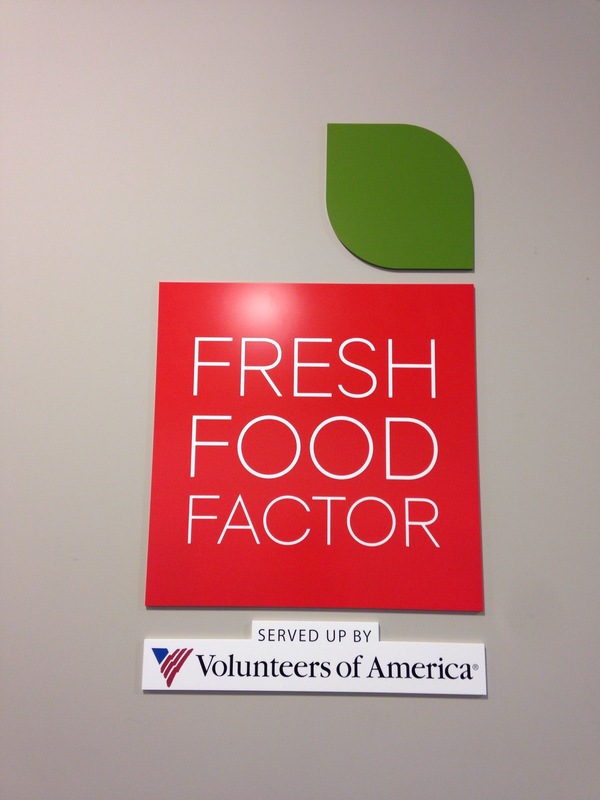 Today we partnered with Fresh Food Factor served by the Volunteers of America here in the city of New Orleans. 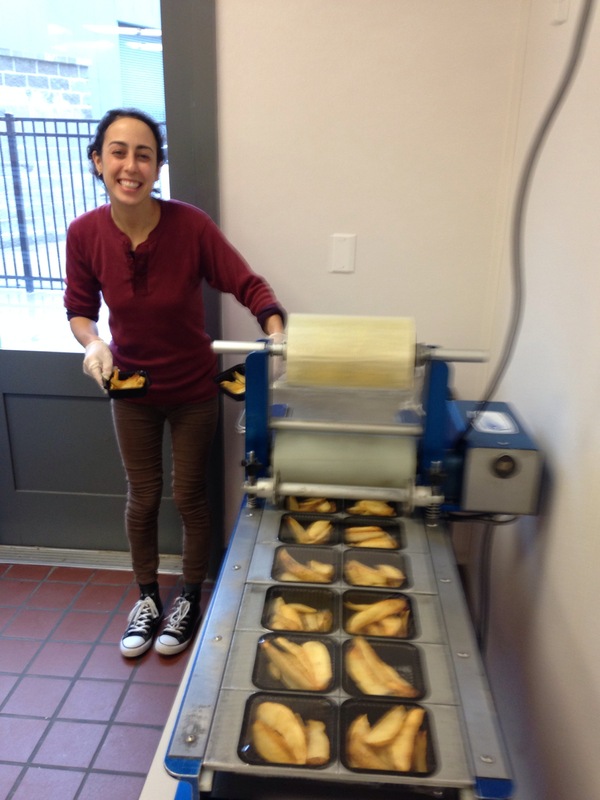 FFF is an 8,000 square foot commercial kitchen that serves local students healthy meals on a daily basis. 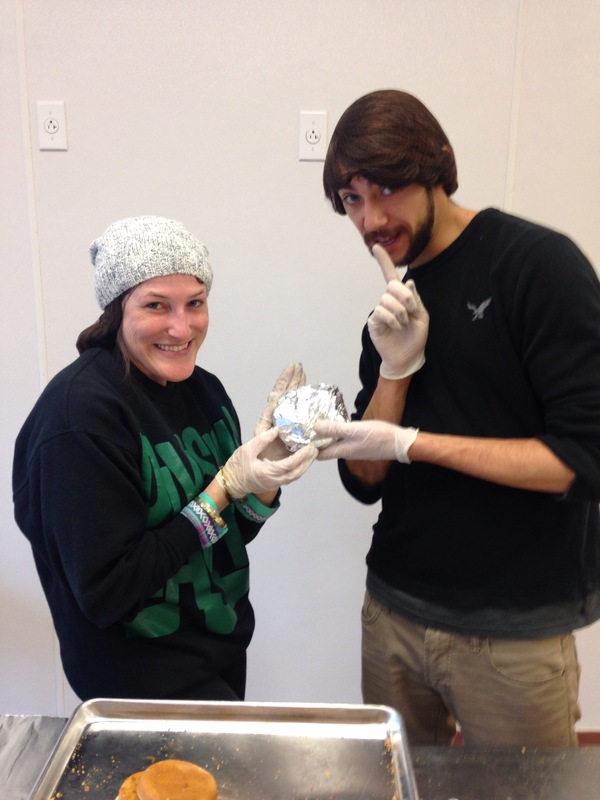 Their goal is to not only provide fresh and healthy meals, but also to teach students that a healthy lifestyle begins with good eating habits. By providing them the opportunity to try healthy, delicious food they hope to enable the students to make positive choices for a lifetime. Since 1896, Volunteers for America has been a nation wide nonprofit organization dedicated to helping those in need live a healthy, safe, and productive life. This program began by serving lunches to local schools. Today it provides seven schools with breakfast, lunch, and for the first time ever, dinner. We had the privilege of packing the first supper. With the help of the honorary gypsies, Nicky and Sarah, we made 200 dinners. Note to self – do not show up hungry! I did all I could not to steal a fry! Of course my favorite part was adding the BBQ sauce in our assembly line. Assembly line & games = greater productivity. We created a game with memories of our past week together. 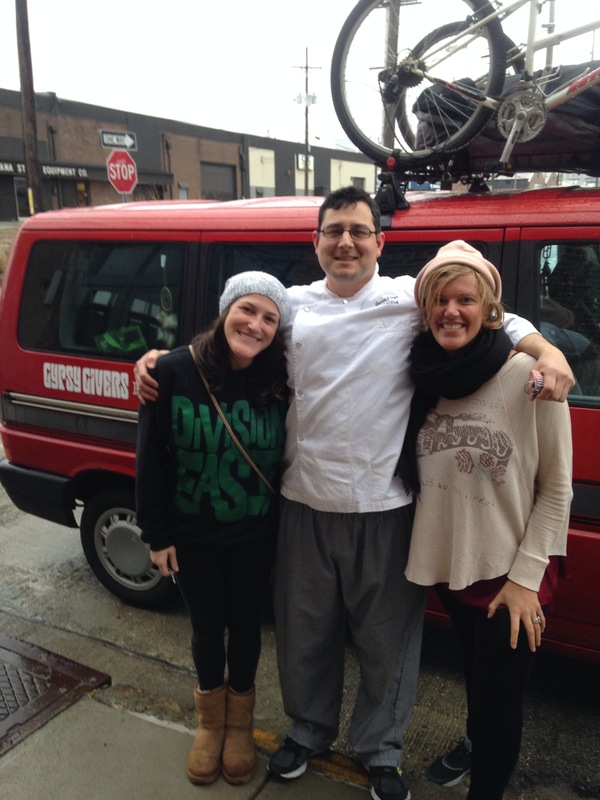 James, the head chef, was very appreciative of our hard work and our gypsy givers’ mission. You can bet we will be back! I am short handed in our kitchen this weekend, can you both command volunteer your time? Awesome gypsies! Love that you made so many dinners and helped with this mission. Love you girls….way to go to the honorary Gypsies too. So neat to see what you are doing!